America’s population, which is expected to increase by 30% to 100 million citizens in the mid-21st century, is placing an ever-increasing strain on our nation’s water infrastructure. 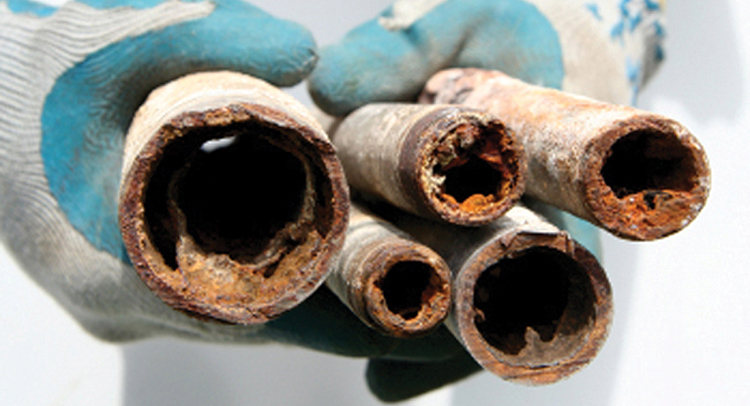 Over 300,000 water main (pipe) breaks occur every year in North America, due to widespread corrosion of aging metal pipeline systems. Repairing or replacing water mains entails not only the cost of engineering and construction, but associated costs in terms of traffic disruptions, local business service interruptions, the possible need for emergency equipment, and temporary depletion of water supplies. The projected repair and replacement costs to upgrade the nation’s water and wastewater systems is estimated at $3 to $5 trillion over the next 20 years. These projected costs are coming at a time when governments at all levels—federal, state, and city—are facing substantial budget shortfalls. How Does North City Water District’s Infrastructure Compare? One Master Telemetry Monitoring System: our electronic system allows us to remotely monitor and operate all of our critical components. In 2012, a local Lynnwood engineering company upgraded the system that allows us to remotely monitor our reservoirs, booster and supply stations, and District Headquarters. Two reservoirs (3.7 million and 2.0 million gallons): our water reservoirs undergo regular maintenance every 5 years and get new exterior paint and interior recoating roughly every 25 years. Ninety-five miles of Water Mains (piping): your district is continually upgrading the water mains (pipes) throughout the system. Two years ago, we utilized an affordable 1% Drinking Water Revolving Fund loan to replace approximately 2,000 feet of nearly 60 year old, 8-inch diameter steel water main (piping) with new, 8-inch ductile iron water mains. 5000+ Water Meters: in 2014, we installed new Sensus iPERL Electro-magnetic Flow meters that are not only accurate down to the teaspoon of flow, but also significantly reduce the amount of time our staff will spend reading the meters. One Pump Station, two Booster Stations, and four Supply Stations: we inspect and maintain these critical system components every week. 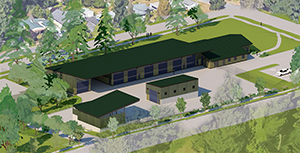 Most recently, we utilized Washington State’s Drinking Water State Revolving Fund’s extremely affordable 1% loan rate to replace the North City Pump Station located adjacent to our 3.7 million gallon reservoir. Thirteen Pressure Reducing Stations, five Check Valves, and six Zone Vales: we calibrate and test pressure reducing stations twice a year, and upgrade them every 15 to 20 years: three of which were upgraded recently with two more scheduled for upgrade and replacement in 2017. Over 700 Fire Hydrants and Valves: we continually operate and maintain hydrants and valves every two years to ensure operable function. Although proactive infrastructure maintenance may not be the “national norm,” it’s far more common among Special Purpose Districts. North City Water District’s Board of Commissioners has long maintained a philosophy of regular system improvements, rather than waiting for emergency repairs. In our experience, routine, ongoing, proactive infrastructure maintenance is the best approach—not only because it promotes reliability, but because it promotes economic sense: something our ratepayers (and their kids and grandkids) will benefit from for decades to come.